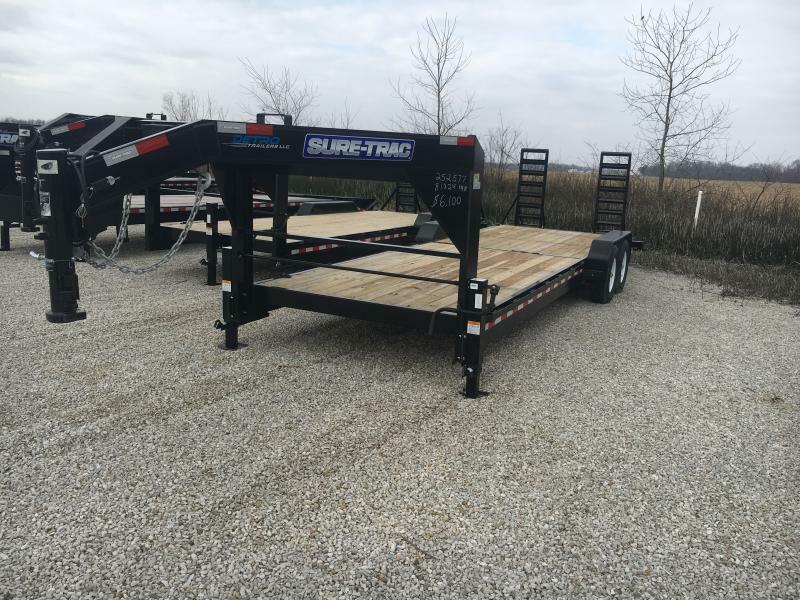 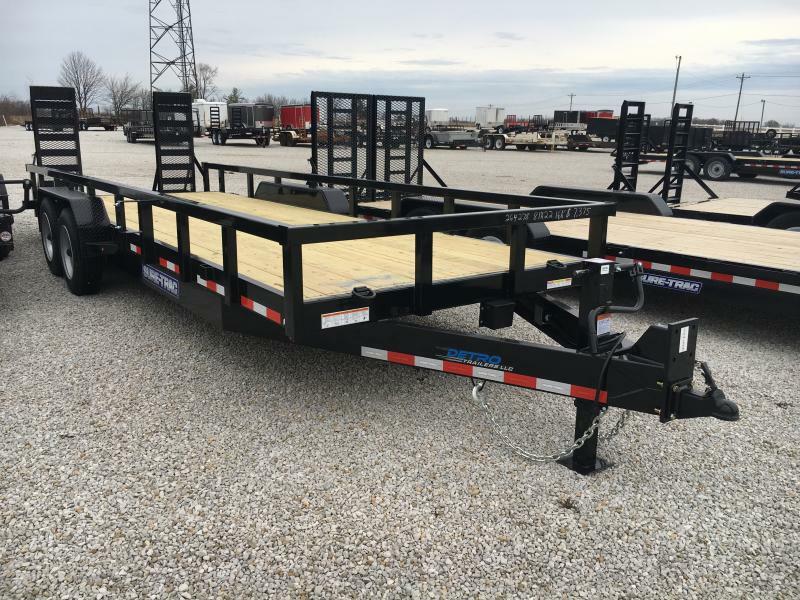 2019 Sure-Trac 7 x 17+3 Implement HD Univ Ramp 14K | Detro Trailers | New and used car haulers, enclosed cargo and utility equipment flatbed trailers | Indianapolis, IN. 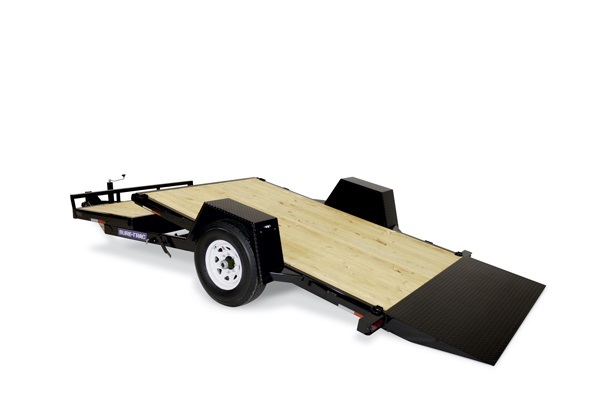 Featuring Universal Full Width Ramps, the Sure-Trac Universal Ramp Implement makes loading and unloading equipment more convenient, versatile, and safer. 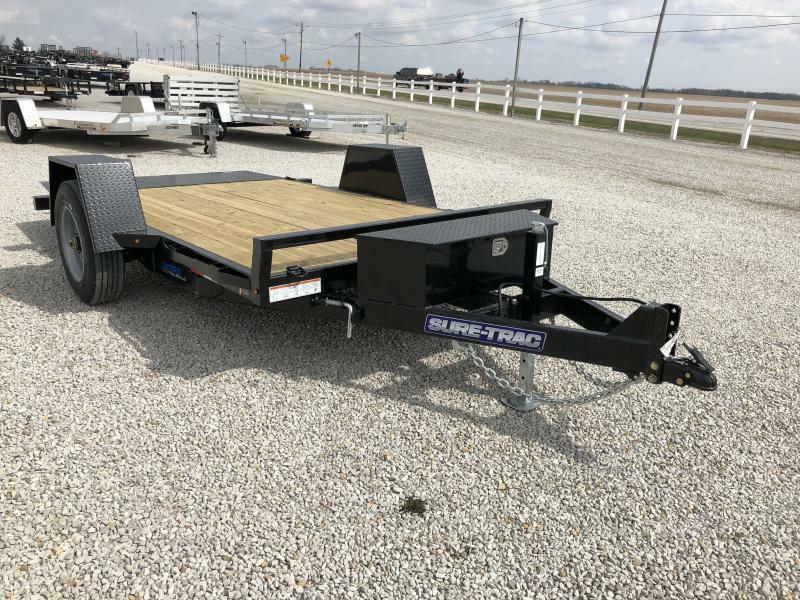 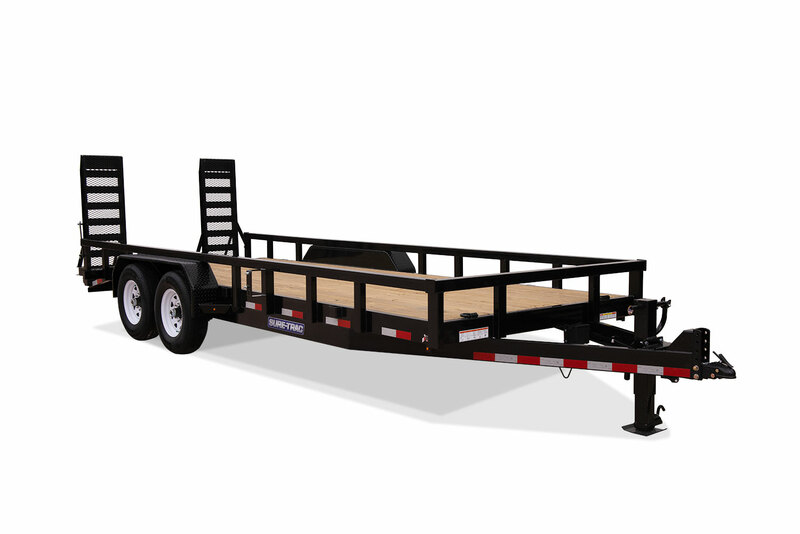 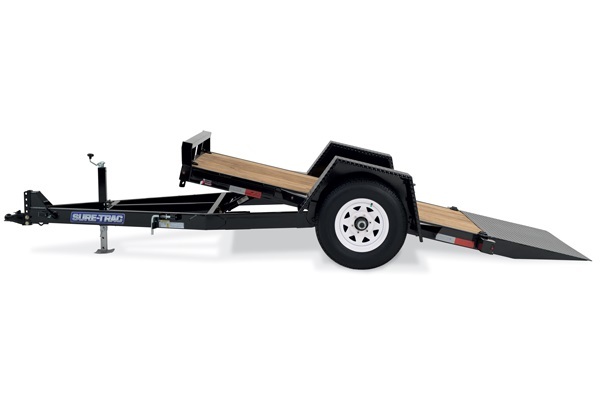 This trailer is equipped with a heavy-duty (7K) set-back jack, adjustable 2-5/16″ coupler and HD Slipper Spring suspension. 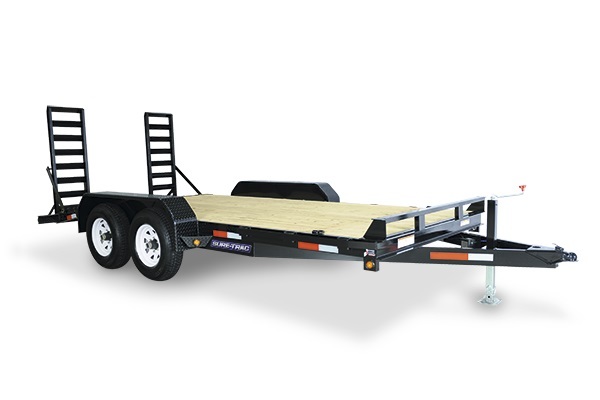 Available in 15+3 (14K) and 17+3 (14K), this trailer is configured to handle the job.